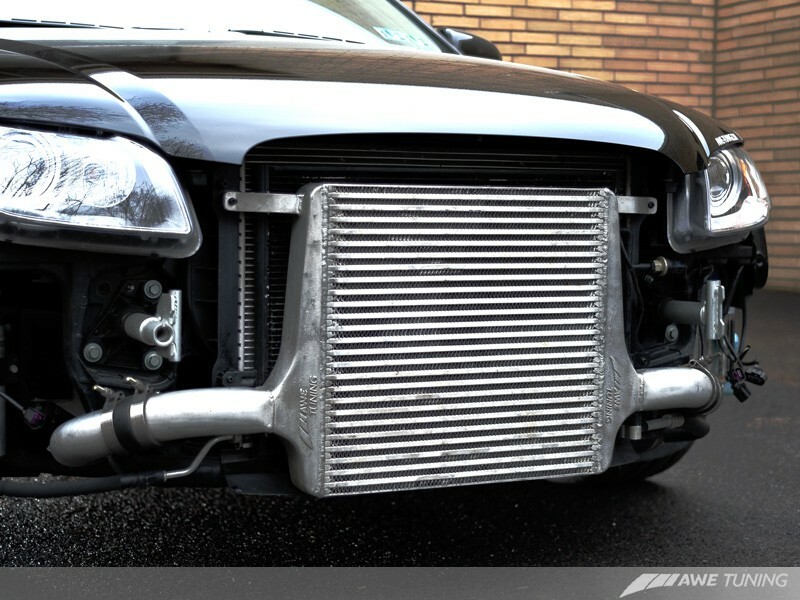 Get A4 performance for you Audi A4 B7 with the AWE Tuning A4 B7 Front Mount Intercooler. Decrease your pressure drops and heat, and increase your performance! 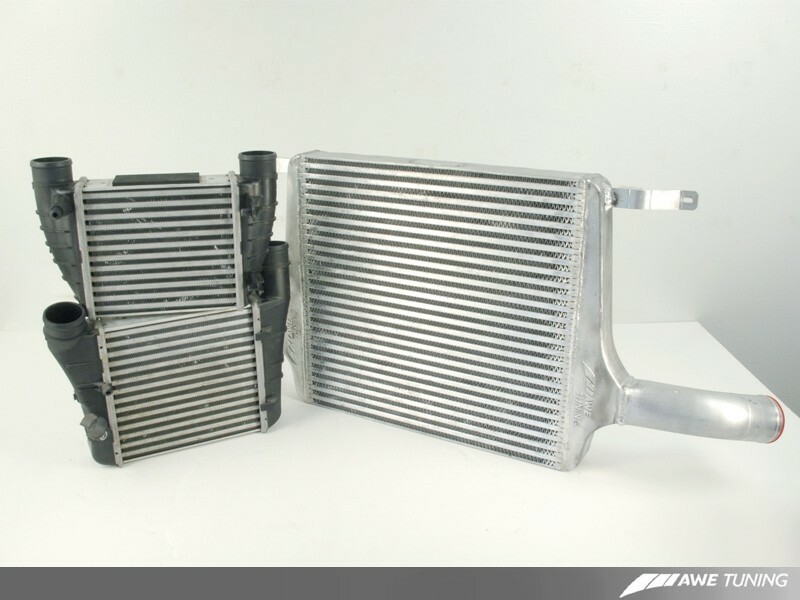 Do you wish your Audi A4 B7 had better flowing intercooler? 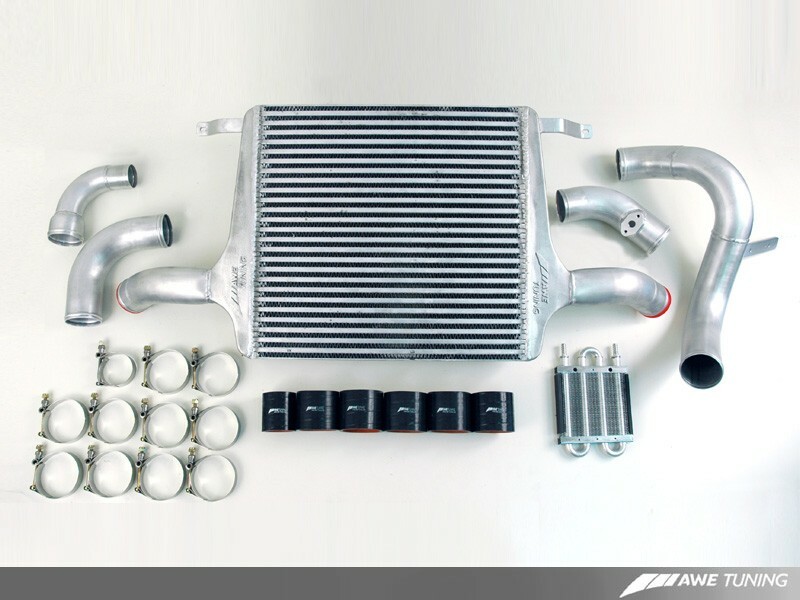 With the AWE Tuning A4 B7 Front Mount Intercooler for your A4, yprovide better cooling and less pressure drop with the AWE Tuning A4 Front Mount Intercooler. 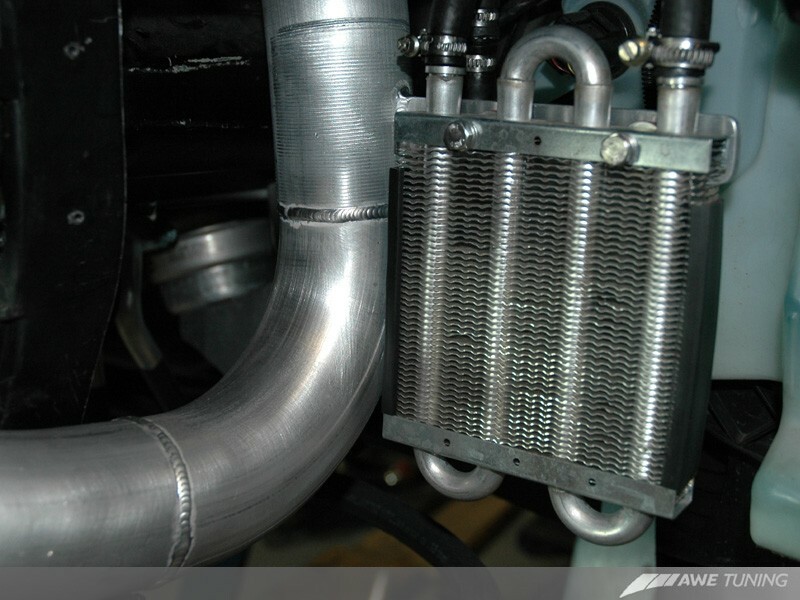 AWE Tuning also includes OE intercooler hoses* to make the installation process easier. You will definitely see performance gains in your A4 B7 due to the efficient cooling that the AWE Front Mount Intercooler provides. 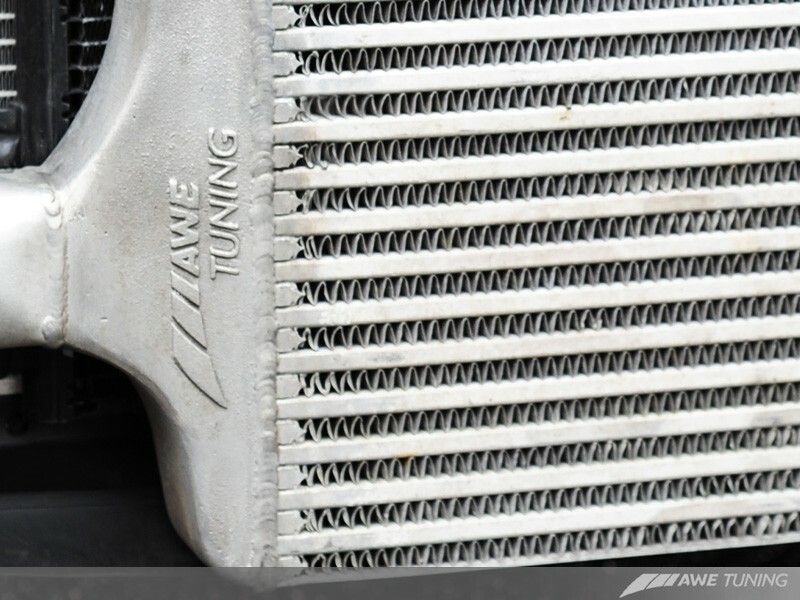 The AWE Tuning B7 Front Mount Intercooler has a more efficient core design compared to the stock intercooler on your Audi A4 B7. The end tanks are also designed more efficiently than the stock plastic end tanks. The design of the core and end tanks of the AWE Tuning B7 Front Mount Intercooler for your Audi A4 B7 gives your performance vehicle less pressure drop and improved cooling, which equates to increased performance.